SIMON COVENEY HAS written to the chair of the Oireachtas committee on the future of domestic water services expressing concern about the committee’s draft report. The Housing, Planning, Community and Local Government Minister wrote to independent Senator Pádraig Ó Céidigh yesterday, amid growing tensions between the committee’s government and opposition members. The letter states: ”Frankly, on the basis of advice that has been provided to me, the Committee is moving further away from enabling Ireland to be compliant with our EU obligations. “I have very many concerns around the new text but principally they relate to 3 key issues that relate to the requirements under the WFD (Water Framework Directive) of the principle of cost recovery and the polluter pays. “The first is that the language used tends towards an interpretation that only wilful waste is to be targeted, i.e. where a subjective intention to waste water would need to be proven, resulting in the absence of any constriction from households to cost recovery. This fundamentally calls into question the adequacy of the proposed arrangements, whereby excess water usage is not included, in terms of cost recovery. Similarly, it does not in any way incentivise efficient water consumption in line with the polluter pays principle. “The deeply ambiguous wording to “an approach based on incentives and penalties” is very problematic. Previous text that appeared to have been agreed in principle by the Committee included reference to a levy based system. “Thirdly, the Committee’s change of direction on metering over the course of its meetings this week is extremely worrying … I must point out that the European Commission is on record as saying that metering must be the basis of charging for excessive use. 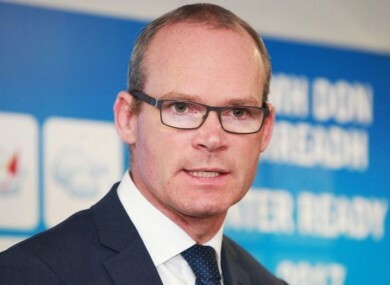 Coveney noted that, under the previous text, “at least half a million homes would have had meters installed over the course of the next 20 years assuming a construction rate of 25,000 new homes per annum”. He added that the new text “drastically” weakens “our position in putting forward a coherent package to demonstrate compliance” and “creates a clear inequity between households with and households without meters”. Coveney said he appreciated the work of the committee and his letter was not “an attempt by me to in any way seek interfere” with its deliberations, rather him pointing out that the recommendations produced by the Oireachtas need to comply with EU obligations. Read: ‘We’re not going to have a general election over water’ – Could this be the row to take down the government? Email “Simon Coveney says water committee seems to be moving in 'extremely worrying' direction”. Feedback on “Simon Coveney says water committee seems to be moving in 'extremely worrying' direction”.